“RAINBOW” SOLID WOOD STORAGE BED SUITE SALE!!! 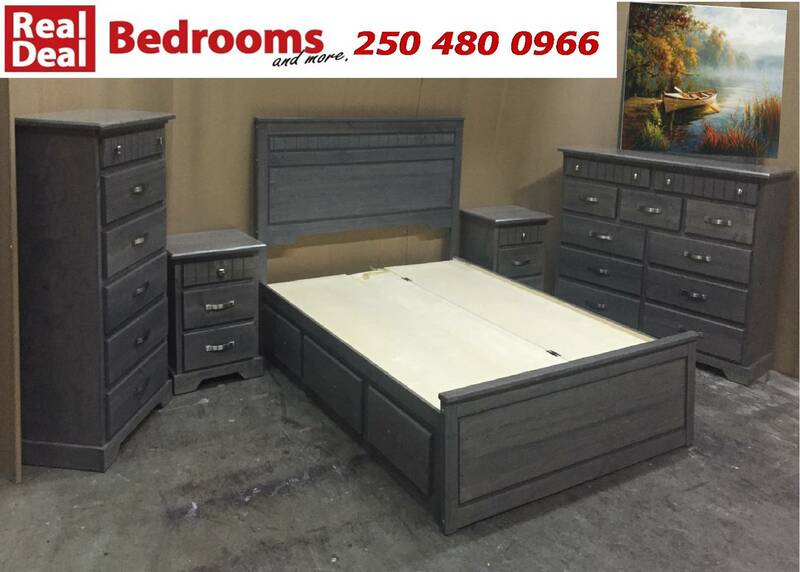 This beautiful solid wood , locally made bedroom set features 6 drawer storage in the bed frame. Dove tailed joints on all of the matching case goods , and available in a choice of 10 different finishes! you may also pick from a variety of handles! NO TAX SPECIAL ON NOW!! !